Owner Lawrence Lavalle - The Deck Master - A reputation for excellence. We have more than 50 years combined experience. The Deck Master carries one of the widest selections of natural wood products for decking in southwestern Ontario. 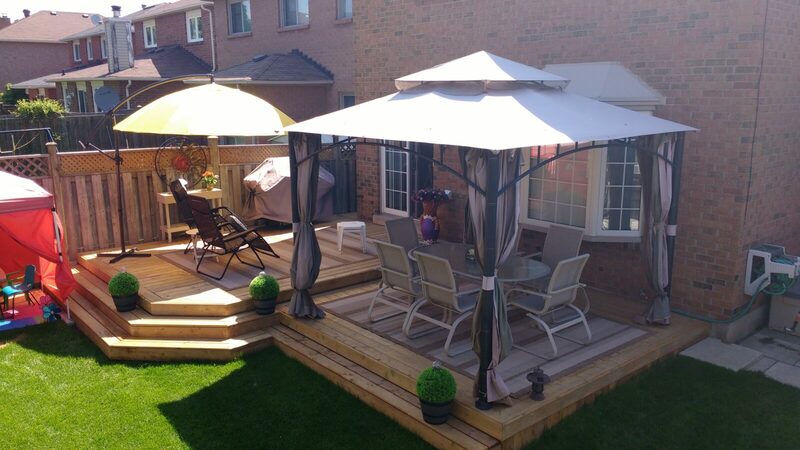 The Deck Master carries one of the widest selections of natural wood products for decking in southwestern Ontario. We understand that homeowners have individual styles and preferences, which is why we are particular about the smallest details. 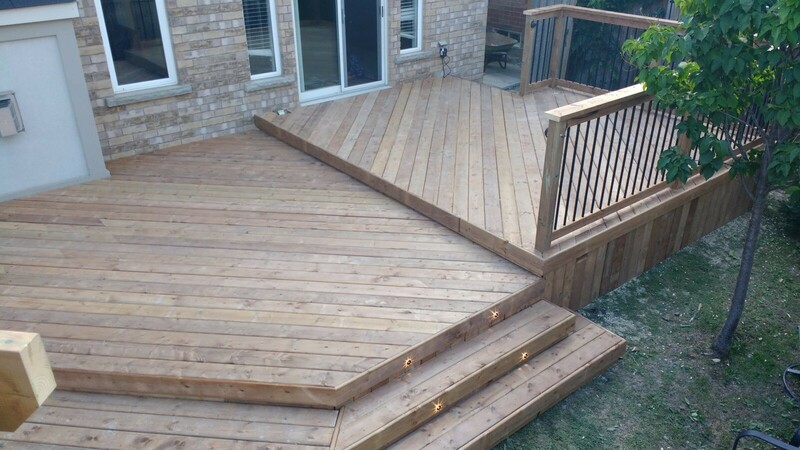 We will make sure that the finished deck will harmonize with the landscape and your home’s architecture. With lumber boards, you can pick the texture or appearance that you envisioned for yourself, be it fine-grained, knotty, pressure-treated, or something in between. Why Choose The Deck Master? You can rely on our depth of experience – we have over 50 years of combined experience in the industry – and understanding of your needs. 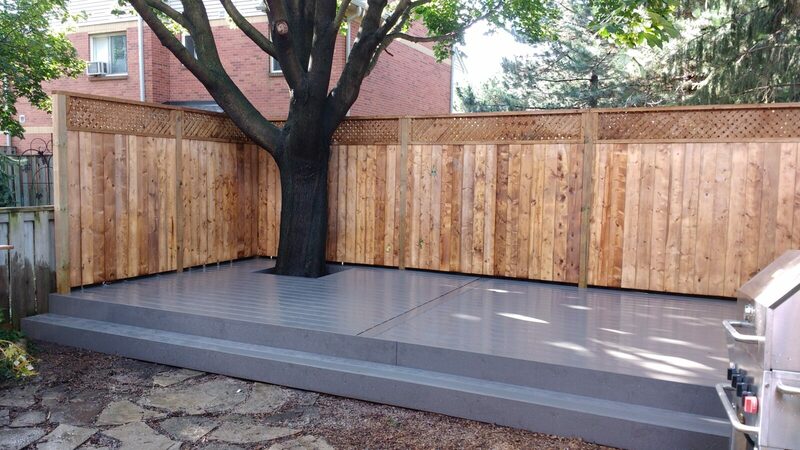 We build decks of all styles, from small and simple to complex, multi-level deck structures. More importantly, you can expect a project that’s hassle-free on your end because we will take care of everything. 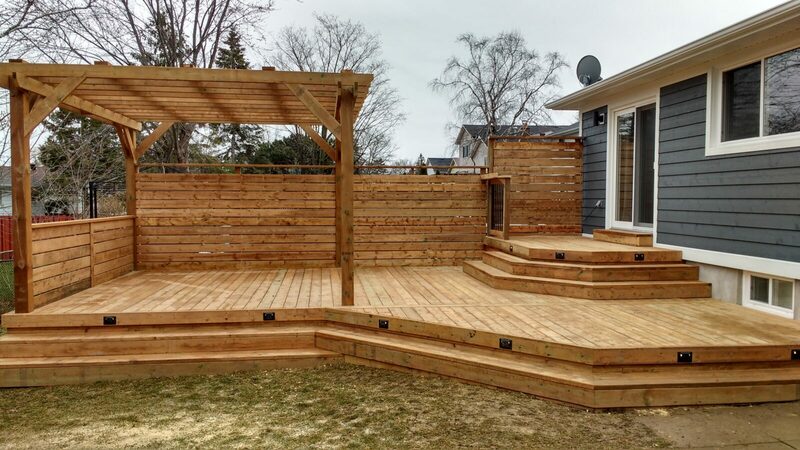 If you’re looking for lumber deck boards in Burlington that will blend perfectly with your home and surroundings, get in touch with us today. 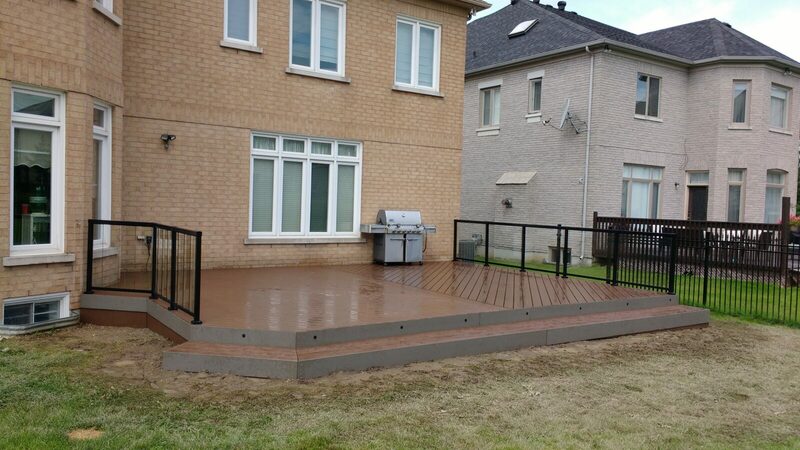 We also provide deck services for homeowners in Etobicoke, Brampton, Mississauga, Milton, Georgetown, Acton and Oakville. A beautifully crafted new exterior deck is a two-fold investment: you invest your money, and you invest your trust in the deck builder contracted to create it. 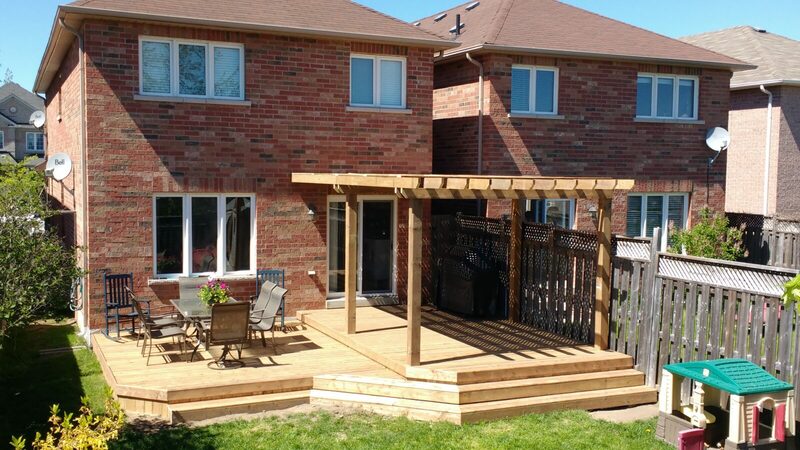 For professionally designed and built decks in the Greater Toronto area, along the QEW through Mississauga, Milton, Oakville, Ancaster and Burlington, and down the 401 corridor through Kitchener, Waterloo and Cambridge, THE DECK BUILDER is the one name you can bank on for superior quality deck installations and guaranteed satisfaction. Owner Lawrence Lavalle — a.k.a. The Deck Master – is a respected deck building contractor with a reputation for excellence. More importantly, he’s an artisan and craftsman with a long history of experience in deck construction and equally impressive customer service expertise. 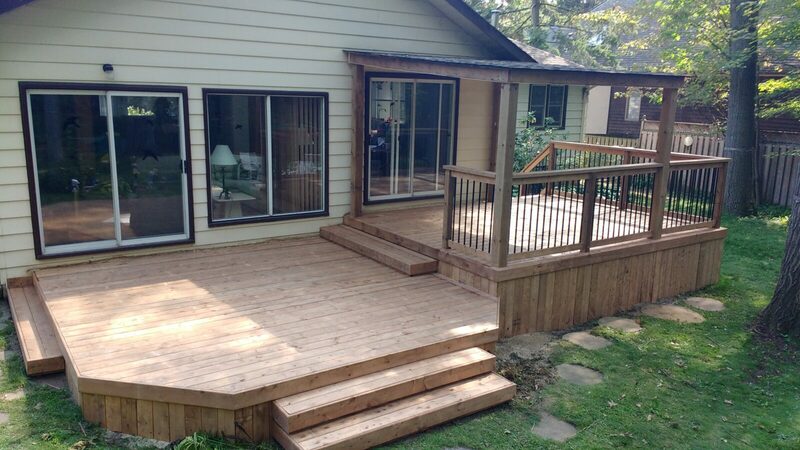 Lawrence understands that a beautiful residential deck build is an extension of a family’s living space; a deck is not just an ornamental addition to the exterior of the home installed to add curb appeal and increase equity. A deck is a communal platform for relaxing, entertaining, cooking, spending time with the family and simply enjoying all the splendor nature has to offer year round. A deck should be beautiful, functional and complimentary to your exterior aesthetic, whether it’s a small addition or a stunning multi-level showpiece. 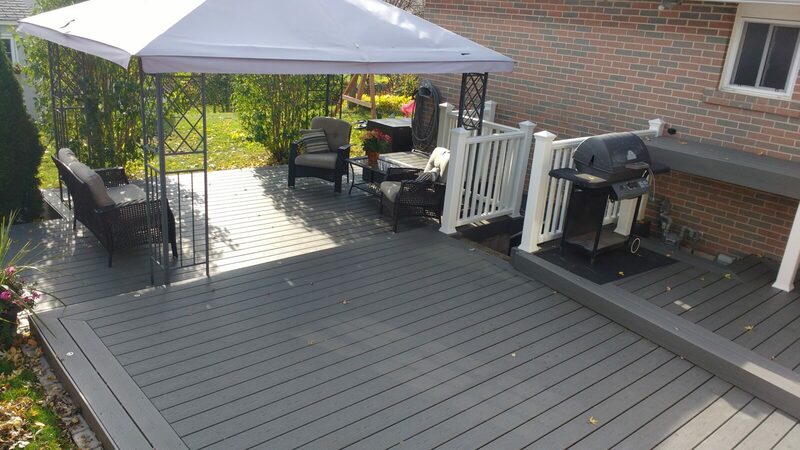 Lawrence knows he’s not just running a deck construction company, he’s providing home owners and commercial deck customers with another reason to be proud of their properties while enjoying their outdoor spaces. 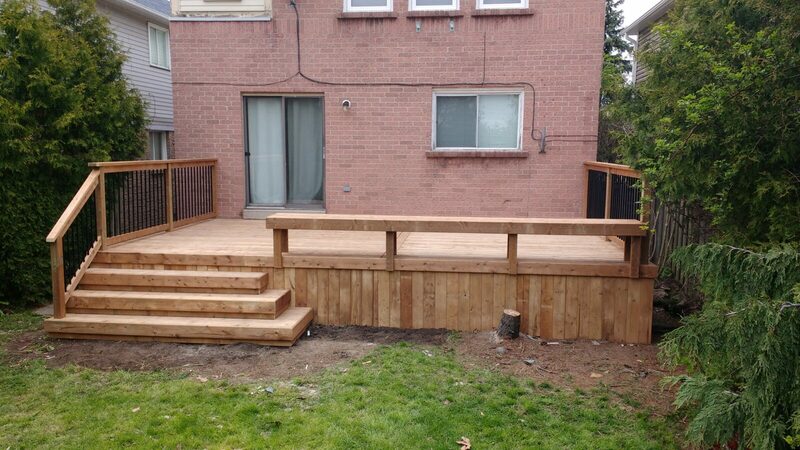 You can search deck builder Oakville, explore Google for Brampton deck builders or click decks Burlington and find companies making all kinds of claims about their workmanship and quality deck builds. One of things that makes The Deck Master different is that once the foundation is dug for installation, Lawrence is on-site for every aspect of your residential and commercial deck installation. He knows his reputation is on the line with every build, which is why he employs and supervises a team of professionals who take the same pride of ownership in the process of building quality decks as he does. Lawrence isn’t just there the day you sign your contract; he’s overseeing the construction of your deck every day, making sure it is being installed to his exacting standards as a master deck builder. He doesn’t disappear after he’s got your business: in fact, the last day you’ll see Lawrence is the day he shakes your hand to thank you for the privilege of installing your new deck. The Deck Master wouldn’t be such a successful deck installation company without being able to build exquisite decks, and they do that by offering you the choice of three primary types of exterior deck board construction: cedar decks, composite decks and pressure-treated decks. A deck is only as good as the quality of materials being used to build it, and The Deck Master builds using galvanized nails, ECQ certified screws and fasteners, and pressure-treated stair railings with black aluminum balusters. The Deck Master strives to install durable, professional crafted decks built to last every time. Throughout their history, The Deck Master team of professional deck installation experts has been called to construct decks in all shapes and sizes, from intimate ground level decks to sweeping multi-layer decks integrated into large-scale landscaping and exterior improvement projects. From 100-square-foot decks, to spectacular decks that measure well over 1,000 square feet, The Deck Master will develop the design plans and get your approval before moving forward into the construction process. Perhaps you have a uniquely-shaped in-ground pool or ornamental pond you want incorporated into your deck design. Lawrence will spend the time with you to ensure you know what you’re getting before a single board is installed. Commercial property owners looking to enhance the ambience of a nightclub or restaurant can also trust The Deck Master with flat-roof deck installations that are second to none. Removal of worn-out, unsalvageable exterior decks is also part of The Deck Master’s customer service menu. The Deck Master team will dispose of the old deck and materials before starting construction to ensure your property is ready for your new addition. The Deck Master offers free consultation so you can discuss the details and designs, then provide you with a competitive quote. The only thing that’s pressurized is the lumber – you’ll never feel obligated to move forward with a deck as the result of high-pressure sales. Best of all, you get a complete five-year warranty on the installation. 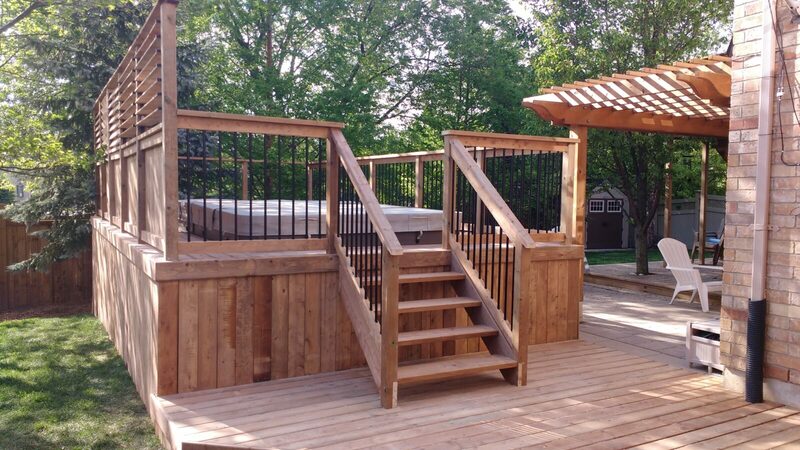 With thousands of satisfied customers across South Western Ontario and around the Golden Horseshoe, The Deck Master is the company you want building your deck. Call today, and get your property decked out for company!